My Reality is different than yours! Have you seen all the gorgeous, glam, put together, stay at home Mommas out there just killing at...everything? They have the perfect blogs! The latest hairstyles and wardrobes. They can whip out posts, never lacking in the latest trends, most educational toys on the market, healthiest recipes, and my favorites are the income report screen shots! 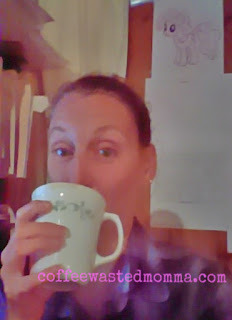 I have been dabbling in blogging for over 6 years. I have gotten more serious in the last 4 months. Everyday the terms, techniques, codes, what's popular, etc is changing! I normally do a Wednesday WIP(work in progress) post. I seriously could do one on solely what I am working on blog related every single Wednesday. I am constantly finding some new aspect that I need to add, remove, tweak or work on within my blog. But, I don't want to do that today. I don't want to get into each and every thing I have had to put in hours of research to get me where I am inside this blog. What my day actually looks like! 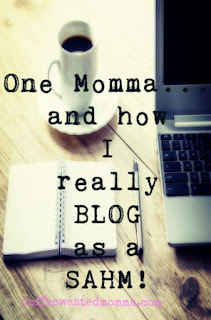 How I actually manage to get one, one single post finished and hit that glorious publish button on a typical day as a SAHM! My day typically starts around 6am. D#2 pretty much gets herself up and dressed, lunch packed and heads out around 7:30am. On a good day I'm already logged on, checking social media, blog counts, news, etc and have a good couple cups of coffee in me. Once, I've skimmed around and found or pinned 83 more crafts, recipes, or whatever bright and sparkly pin has caught my eye, I try to get the little to eat...something. We aren't huge breakfast people so if she eats a slice of cheese, a few grapes or drinks a Danimal, we are good for a bit. Now, after we have scanned through Disney(nope still too early for tot cartoons), Nick jr(She doesn't like that show), PBS1, PBS2, and then go back to Disney jr(Yes, Sophia is on! ), I jump back to the computer to remember where I left off. Okay, so I've got this great post idea! My favorite Pinterest recipes! Now, I've only made 4 of these but I wanted a Top 5, sooo I have to find a simple one I can say is easy to make. Oh, now I never take pics of my food...isn't that odd? I'm not on Insta Gram, and I don't really have time to look at every single person's meals all day! (I think I ate a whole meal yesterday?) Oh, wait, no...yesterday I had half of D3's sandwhich and like 4 raisins...and my coffee. Oh crap, yes. I forgot your cup of chocolate milk, hold on love. We can play outside when Momma is finished. Ok, now Pixabay find me a great pic for my post/pin of recipes! OOHHH, that looks yum! Wow, I need food! Sooo, 4,000 horizontal pics...and 6 vertical..Thanks. No repins on this post! Ugggh, and I already know editing it myself will only make it look Picaso-ish and odd. I got to go pee. Yes, you can come too D3. Let me reheat my coffee and get you more cheese. okay, okay, grapes! Okay, Thank God, Blogger saved my draft I left open! So, I've got my so-so image made(text included), and re sized. Now, I need that wonderful SEO approved heading! Should I put the pic at top, sub heading first, bold, larger font??? Now...content. I got this! I've been writing it in my head for a week! Wait, D3 "why did you dump out the make up bag?" " Is the mascara in your hair?" I include the ones I've made, how easy, how good they turned out. How to omit or add to make it better or healthier. I'm almost done here. I just need to wrap up how I found all these and add in all the links back to these recipes! I need to give credit to these great chefs! Okay, there. Good. Read over, re read. Everything looks great, pics aligned, sized properly. Good, solid, long enough post. Hooray! Success before lunch time! Let me just share it on FB, Twitter, and Bloglovin'...Almost there! CRAP!!! I forgot to add my labels! And, THAT...is how I get my blog posts up! I seriously hope I haven't bored or scared away any potential readers! I am always trying to learn and improve! Sadly, this is my reality. This is a typical day of me trying to get a post out there for y'all. I do enjoy my blogging life and this is just one day. 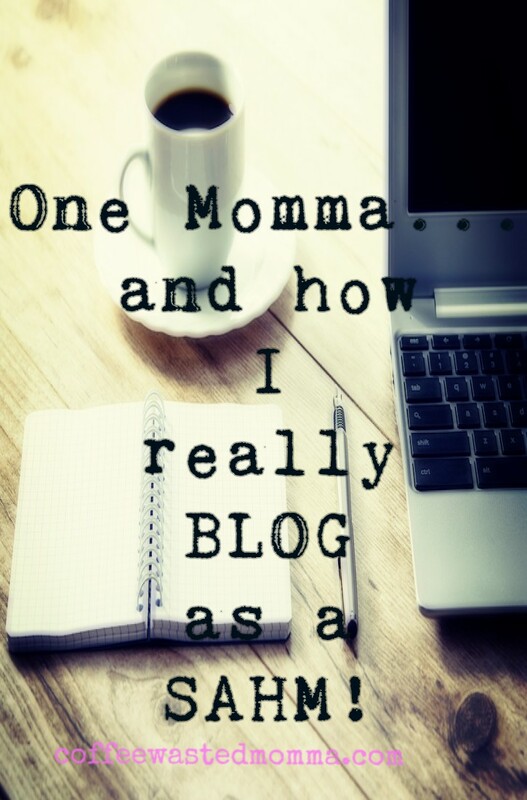 One Momma really doing this blog thing! I hope you all have a wonderful Wednesday and share your typical "blogging day".